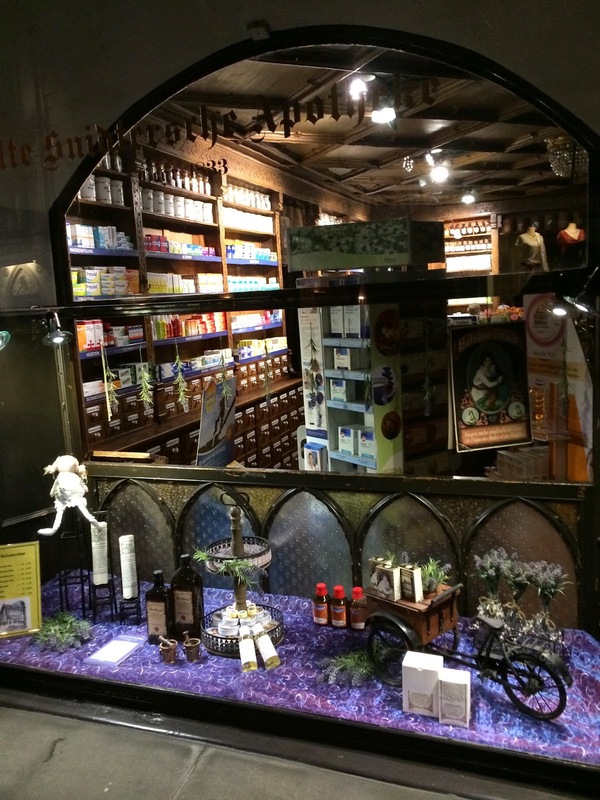 The "Alte Suidtersche Apotheke" was founded in 1833 and much of the interior hasn't changed since then. 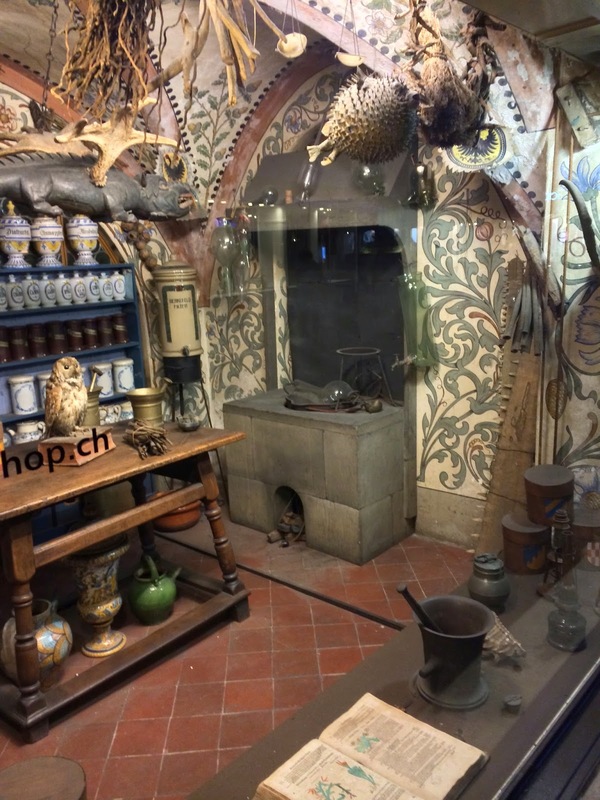 The store is a modern Pharmacy serving Lucerne people and visitors in an antique surrounding. In addition to the normal they have their own range of ancient house specialities like the well known "Mother and kid skin ointment" Balsam Cream. The absolute highlight is the medieval window as it can only be seen by night. 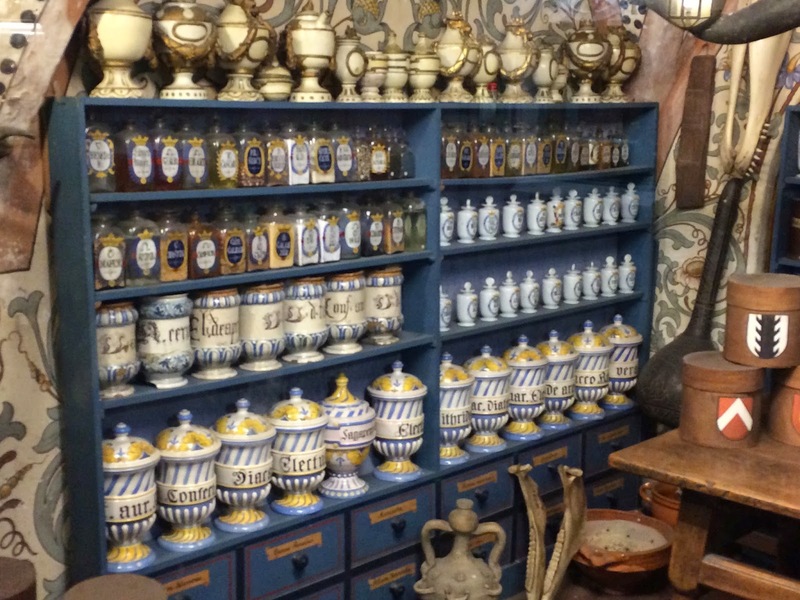 It is a room full of old stuff as it must have been used by Pharmacists in the Middlge Ages. 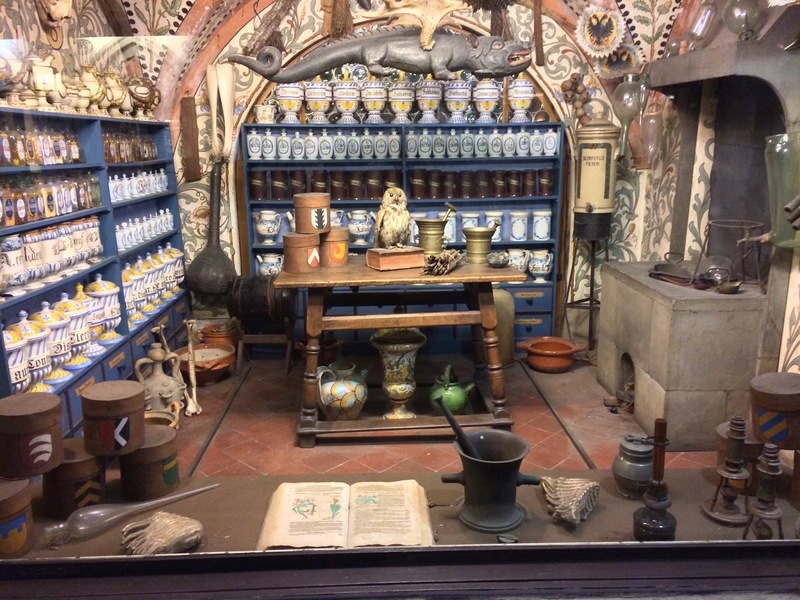 You can see all sorts of medicinal wood and roots, jawbones with teeth, lots of boxes and glasses, a Dragon, a Blow Fish and many other things. On the right there is a fire put looking a bit like an alchemist kitchen. This must have been the ancient Pharmacists laboratory. Also have a look at the wooden door next to the window. 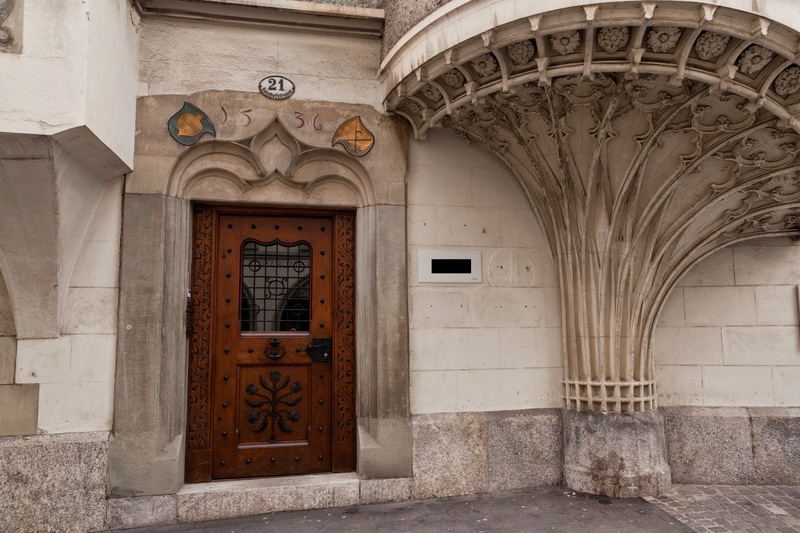 It is decorated with poppies in ornamental ironwork. Finally I'd like to say "Thank You" to the unknown Enthusiast who must be behind that window. Thank you for not turning this place into a sushi bar or coffee house over all these years. 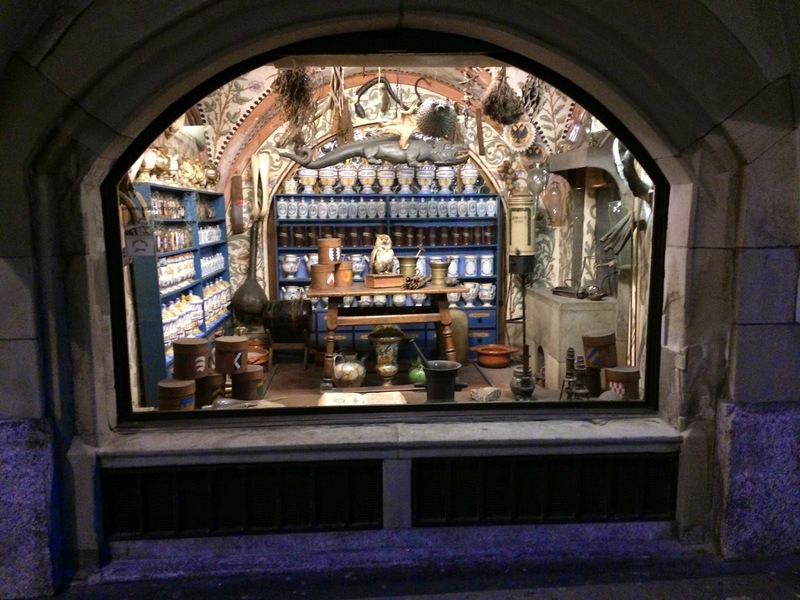 Medieval display window of the "Alte Suidtersche Apotheke" as it can only be seen by night.